Aren’t these feathers fantastic? 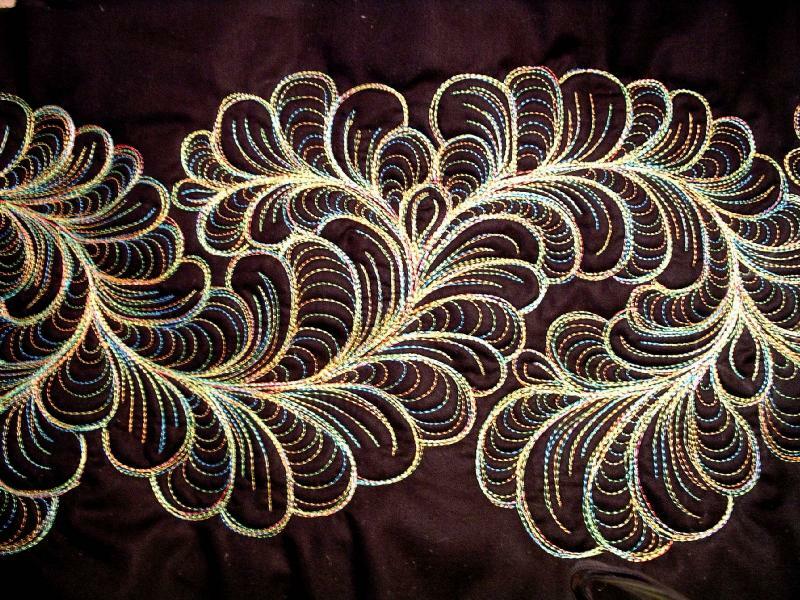 They were stitched on a longarm machine by Sherry Rodgers-Harrison. To see more, see her webshots page sewfarsewgood. Beautiful! It would be wonderful to be able to make a gorgeous pattern like that. Long arms are a total mystery to me but they look interesting. Could something that intricate be done on a domestic machine? I bet so, but not by me 🙂 I have a very loooooooooooonnnnnnnnnnnggggggggg way to go before I even come close to looking that good. They are beautiful! I’ve never made anything worthy of that kind of quilting! Gorgeous.